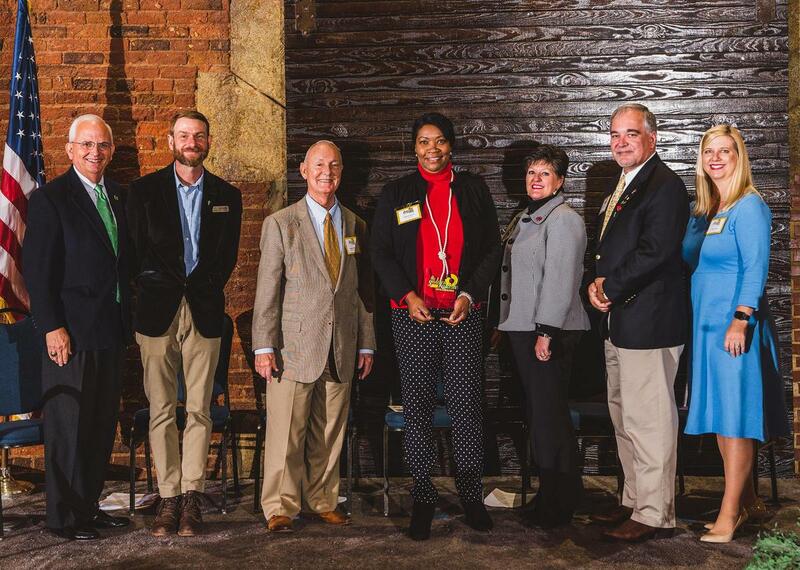 Tift County Schools won platinum level recognition at the 2018 Golden Radish Awards held at the Georgia Freight Depot. The Golden Radish Award publicly recognizes Georgia school districts for best practices in farm to school programs, such as local food procurement, exposing students to new foods through taste tests and incorporating gardening and cooking activities in curriculum. The Nutrition Director is a certified chef, and the District Superintendent and Career, Technical, and Agricultural Education (CTAE) Director is a farmer. All staff continuously learn techniques to incorporate farm to school at their respective facilities, with ongoing professional training. School nutrition employees participated in Farm to School Culinary Training, where they engaged in the creation and preparation of dishes including locally grown items. School staff presented at least 73 taste tests this year, including salad tastings with Kindergartners for the first time. Fifteen acres of school system-owned land is used to teach young farmers to plant, maintain and glean crops. Tift County also has a state of the art canning plant, where they process fresh green beans and tomatoes for homemade marinara sauce. Tift County Schools was one of 84 Georgia School Districts recognized at the awards. Collectively, these districts served more than 1.3 million students a whopping 109 million school meals with locally grown food items during the 2017-18 school year!